Do you feel inspired to transform your diet and lifestyle for the better or simply have food sensitivities you’d like to explore? In this day and age, new developments in the nutrition and wellness field seem to flood our daily routines. The popularity of a back to basics elimination program called Whole30 has sparked a revolution among people inspired to not only incorporate more whole foods into their diets, but to also seek a more mindful approach to what is on their plates. As a holistic health coach and yoga instructor working at HAVEN Wellness, I engage with the community daily about their health concerns and coach people to explore the root cause of their symptoms. Usually these physical symptoms can be attributed to larger lifestyle themes like food and our personal relationship to it- proving nutrition to be an important factor that everyone can reexamine in their lives. I personally love to explore new and different methods of healing and I feel inspired to share my passion for wellness with not only my clients but a larger sphere. 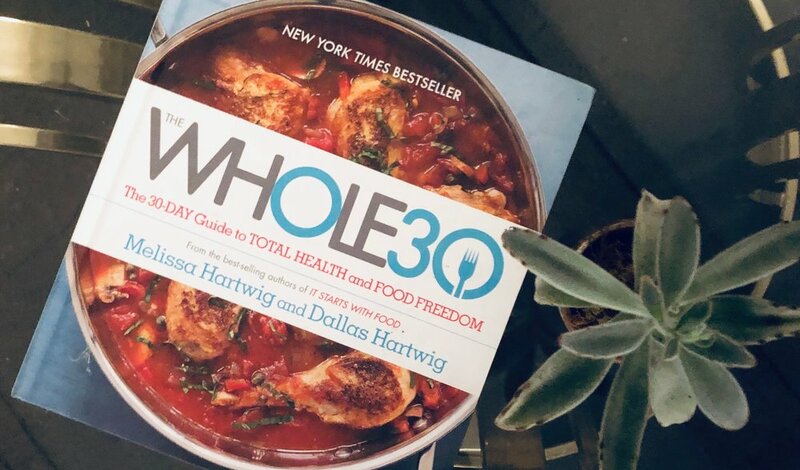 I recently tuned in to a mindbodygreen podcast with Melissa Hartwig, the founder of Whole30. Her raw and honest approach to healing and her clear passion for total body wellness inspired me to become an even healthier and happier version of myself (and certainly with some encouragement from my sister) this year. I will be embarking on the Whole30 challenge and involve my journey with you-my community. What could happen if you embark on this journey with me? Let’s set a goal to develop a new relationship with food, lower inflammation in our bodies, increase energy levels, and attempt to give our digestive tracts a break and chance to heal. Now who can’t relate to wanting that?! 30 days is just one small commitment that you will make for a happier and healthier future. Let’s look at this challenge as an amazing opportunity to bring healing to your body, your community, your mind and your spirit! What will you learn about yourself (with me!) in 30 days? Fill your plate with vibrant and healing foods…. What is most important during this 30 day reset? To listen to your body and be kind to yourself. Follow the guidelines as much as possible, but you know yourself best- use your intuition and seek guidance from your medical doctor if necessary. AND don’t forget I’m here with you! Subscribe below to my Whole30 newsletter to chat with me and receive my weekly updates where I’ll share delicious Whole30 recipes, specialized shopping lists (and money saving tips!) to keep you on track, meal plans, as well as inspiration from other participants as we are in this Whole30 healing journey together! Starting this Saturday, January 19, I will be tailoring my self-care Saturday classes to support you in this journey of self-care and healing. They will include cleansing yoga flows, calming breath work, and mindful meditations. We’ll also learn how to do delicious self massages and enjoy some homemade detox tea together as we wind down. Sign up here. Can’t wait to see you on the mat!